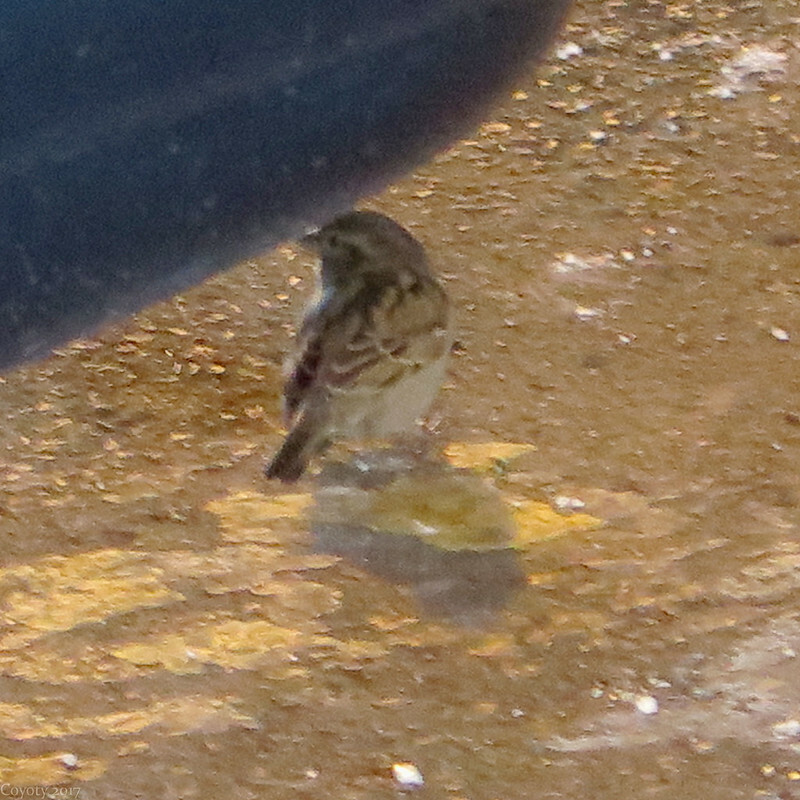 This appears to be a sparrow, but I'm not sure what kind. It was under my car's front bumper and I zoomed to the maximum to get it before it flew off. I like the watercolor effect from the zoom and lighting.